The last gaming book that I loved was The Leveller by Julia Durango (very underrated book and I highly suggest that you guys check it out). Since then, I haven't found one that really spoke to me or jumped out at me. That all changes now thanks to Warcross by Marie Lu. Also, more Asian main characters! I could not be more excited for this book. I hope this one is on all of your TBRs because it's going to be fantastic! You guys know how much I love Stalking Jack the Ripper (and if you don't, check out my flailing mess of a review here)! 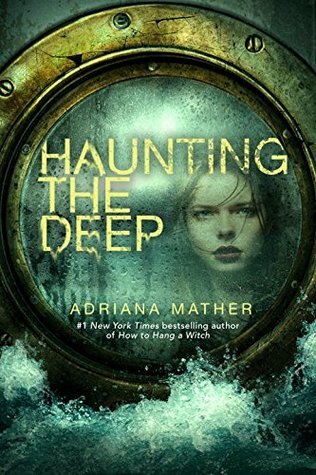 It was one of my favorites last year, I reviewed it, had Kerri on the blog, and have continued to fangirl about it at every chance I get. I'm dying for more of Audrey and Thomas. I want them to crack more mysteries and to have more swoony moments. Basically, I need this book like I need air. Are these books on your TBR? Is this the first time you're hearing about them? Let me know! Oooh, these both sound fantastic (even though I need to read all the other books from both of these authors shhhhhhh). I adore the covers for Keri's books! So pretty! YASSS!! To both of these!!! Though I really ought to finish Marie's Young Elites trilogy, a new rule for myself I must finish an author's previous series before I start another! Unless, there's two running at the same time! LOL, but sadly that is not the case here! Hope you enjoy both of these as well once they release!! I want both of these books! I still have to buy and read Stalking Jack the Ripper but still... And the cover for Warcross is SO interesting. I feel like there's so much to look at. I love it! OMG, you've made me SO excited for "Warcross"!!! YAAAAAY!!! I seriously LOVE that plot!! I have yet to read a book about gaming, but I definitely MUST do something about that!! And, since Marie Lu is such a TERRIFIC author, I might very well start with this book!! Yesss, Marie Lu is amazing and I'm also thrilled to see a gaming book! I'm soooo excited for both of these books. First of all, Audrey is one of my fave YA historical characters so I can't wait to get back to her world. And Warcross sounds absolutely full of fun. Marie Lu's fantastic writing + Asian characters + gaming world? Sign me up! I saw Warcross and OMG I neeeeeeed!!! I haven't read SJTR but this second book looks really good! I love that cover! I'm not sure how I feel about Warcross... it sounds interesting but my verdict is still out until I see some great reviews for it. 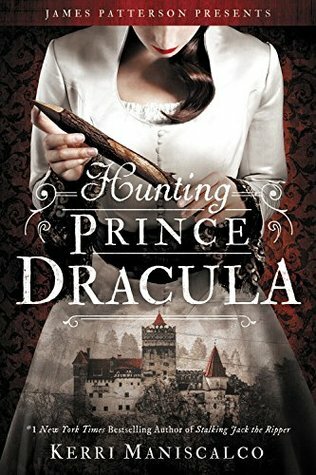 Now Hunting Prince Dracula, that's a book I can definitely see myself reading once I finally get around to reading Stalking Jack the Ripper. I CANNOT WAIT FOR HUNTING PRINCE DRACULA EEP WHY DIDN'T I ADD IT TO MY WOW??? hahaha great choices, Brittany! Also excited for WARCROSS! I admit I am not sold on Watercross yet. I dunno, it doesn't wound like a "me" book. Also, I should probs finish Stalking Jack the Ripper. 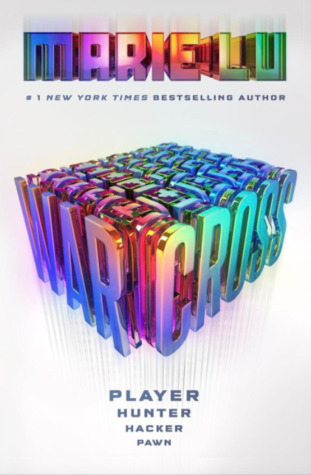 I saw that Warcross finally has a cover. It sounds fun. I still need to read Stalking Jack the Ripper. It's been sitting on my TBR for a while now. Great picks! Um, yup. Just added Warcross. Never read Marie Lu but I'll start right there lol. Video game hacking books can be hit or miss but I'll definitely take a chance on this one. Plus Tokyo! I love anything Japan-related, so Tokyo = a plus for me :) I hope we both love it! Oh nice. I think Warcross is on my list and I do want Stalking Jack the Ripper. Thanks for putting these books on my radar! I really need to read "Stalking Jack the Riper". It's sequel sounds so good. Oh, I want Warcross, too! And Hunting Prince Dracula looks so awesome! I'm going to have to check out the series! Great picks! Thanks for stopping by! Happy reading! I really hope you read SJTR, I think you'll really enjoy it! :D Thank you! How have I managed to not read anything by Marie Lu yet? I really need to remedy that asap. Warcross does sound fabulous, doesn't it? I still need to read Stalking Jack the Ripper too, although I do have it on reserve at the library so it will hopefully happen soon. Great picks this week! Excellent choices (as usual)! I haven't read a gaming book in a looooooong time. But I'm excited to read Warcross. I may binge-read the Stalking Jack the Ripper books when the series is finished. I hope you enjoy these books when you get the chance to read them! Marie Lu's cover is SO beautiful! I hope you enjoy it when you get your hands on it! I've never read any of Marie Lu's books, but this book sounds amazing! How stunning is that War Cross cover? Wowza! I hope you enjoy these books when you get a chance to read them! I've never read anything by Marie Lu before. I'll have to check her out. I seriously need to read Stalking Jack the Ripper, and I have plenty of time since Hunting Prince Dracula doesn't come out until September. 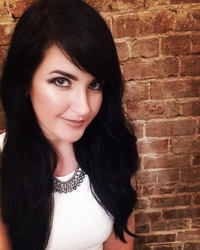 I hope you enjoy reading both of your picks, Brittany! Both are great picks. I just came across the cover for Marie Lu's latest - definitely sounds interesting. I still haven't read Jack Ripper, but I know everyone really enjoyed it. I will have to add her second novel to my TBR list. 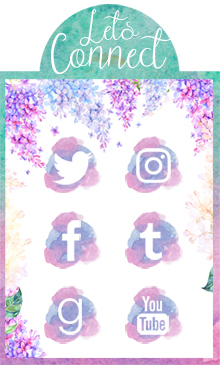 I love your blog's header, by the way! Stalking Jack the Ripper was disappointing to me so I'm a little unsure if I'll get to the sequel, but I really like the cover! And I'm definitely excited for Warcross too!! The first one is on my TBR. I still need to read Stalking Jack the Ripper, but this sequel makes me need to read it quicker! Great picks! 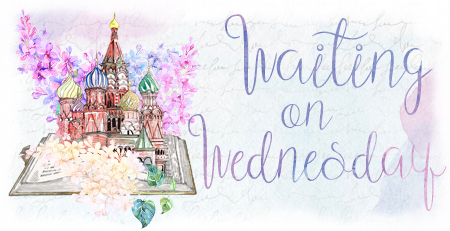 Thanks for stopping by my Wednesday post earlier! I neeed to read Stalking Jack the Ripper. WHY HAVEN'T I YET. WHAT IS MY LIFE. WHAT ARE MY CHOICES.😂😂 And like I'm kind of curious about Warcross? I thought it was going to be a fantasy though not a gaming book hahah, so I'll wait and see what the reviews are like! Holy moley, I was totally clueless about this book and such a different direction for this author! Thanks for the heads up.